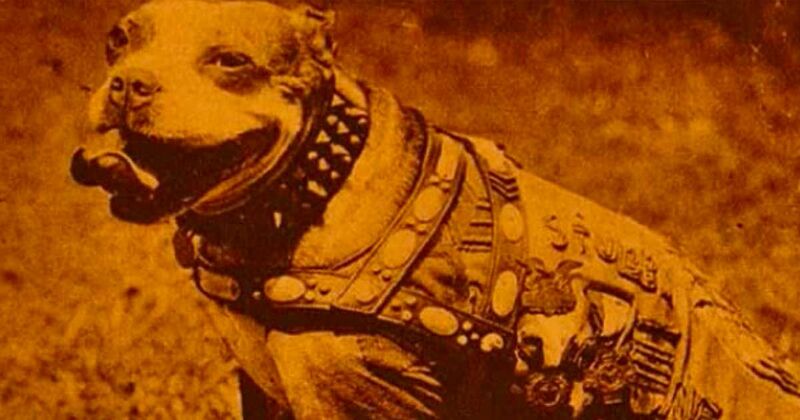 The story of Stubby, the first American war dog, is certainly a tale worth telling. The incredible journey began on the training fields of Yale University where Private J. Robert Conroy happened upon a small, brindle bull terrier. 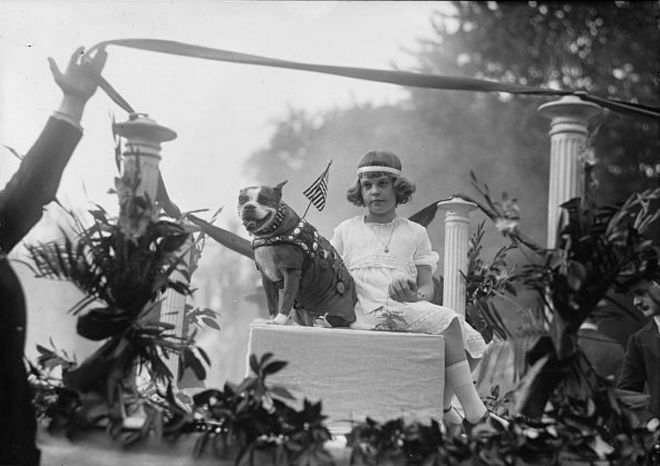 After learning the drills and a modified dog salute, eventually Stubby became the mascot for the 102nd Infantry, 26th Yankee Division where he boosted morale for every soldier he encountered. However, the story doesn't end there. According to an article from the Smithsonian, Private Conroy and his comrades became so attached to the pup that he was smuggled aboard a war ship headed to France. Once discovered by the commanding officer, Stubby gave his famous salute and was allowed permission to stay. What happened next remains a remarkable story in US history. Stubby was not just a mascot, in many ways, he became a solider himself. The Smithsonian indicates that Stubby received his first wounds from battle via gas exposure. Once he was nursed back to health, he had a sensitivity to gas and used his keen sense of smell to warn fellow soldiers when it was nearby. Subsequently he saved many men from similar exposure that he experienced. According to Slate, it was at this time that Stubby received his official rank of private first class. He was the first dog to ever hold an actual ranking in the US military. Other than gas detection, Stubby had even more talents. The Smithsonian indicates that he had a knack for locating wounded and lost soldiers. He would listen for the English language and then run to help save those that needed him. However, his ability to detect differences in speech also helped him capture a Germany solider that was mapping out the allied trenches. When the enemy called to Stubby, he barked and bit at the soldier, causing him to fall down and thus be captured. 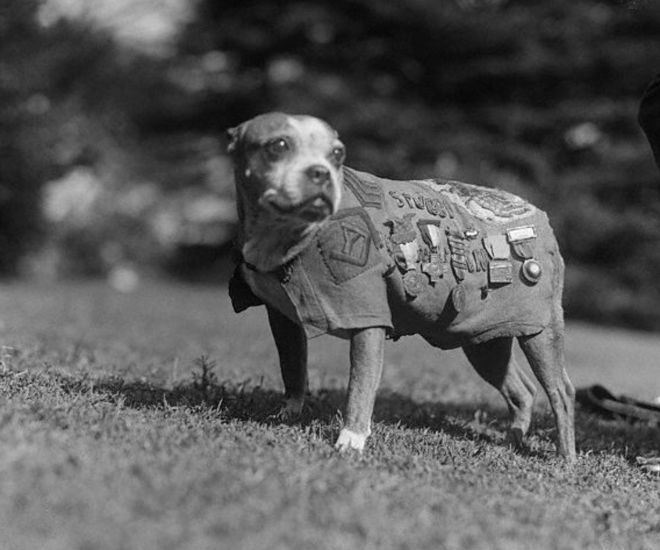 At this time, Stubby was awarded the rank of Sergeant. Stubby was severely wounded during a grenades attack that left him with shrapnel wedged deep in his legs and chest. Once he was somewhat recovered, he spent his time visiting and boosting the morale of fellow wounded soldiers. Stubby even led the troops in a pass and review parade and even visited the White House twice and met Presidents Harding and Coolidge. 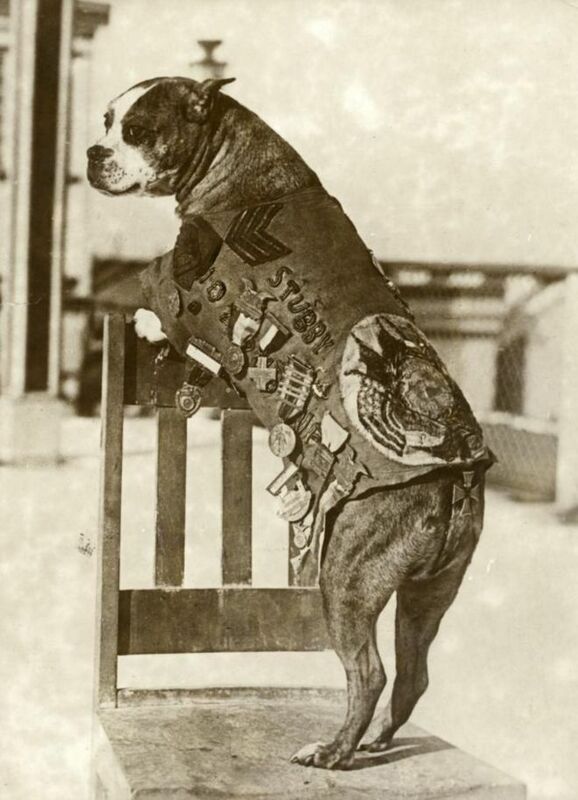 During his time at war, Stubby participated in 17 battles and was inducted into the American Legion and Y.M.C.A. He was awarded many medals for his acts of bravery including a medal from the Human Society. 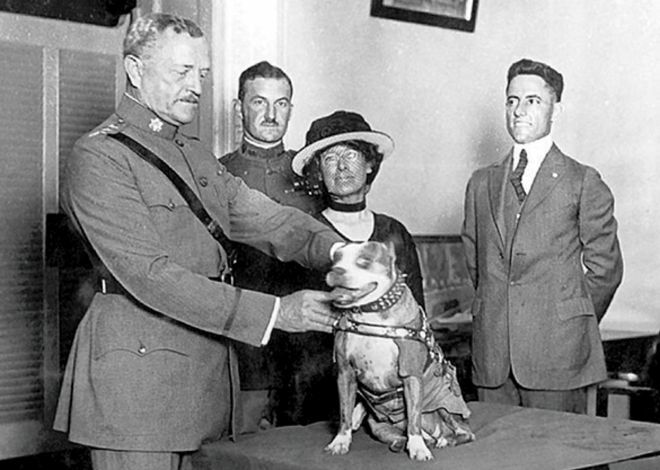 While some may see only a dog, Stubby proves that dogs can have heroism beyond imagination. Stubby's story is an amazing part of history that deserves to be shared. Make sure your friends have heard about this amazing dog. Share with your friends.